The 2010 WEG and European champ and 2012 Olympic bronze medalist Edward Gal (NED) has acquired a new prospect, Total Star, from Quebec breeder Estelle Motta of Stella Rossa Farm in Mirabel. 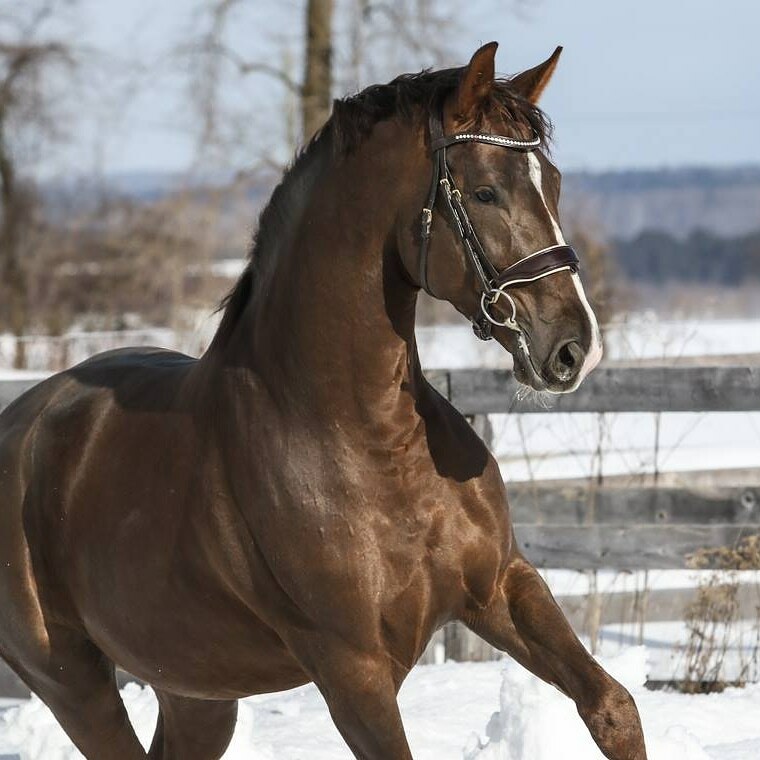 The stunning four-year-old liver chestnut stallion is sired by Gal’s former legendary mount, Totilas, and has the distinction of being both the first son of Totilas to be born in the province and the first to obtain licensing in North America with the German Oldenburg Verband . Her program is certainly proving effective. Of 21 foals born at Stella Rossa, 17 have been awarded Premium Foal, Foal of Distinction, Elite Foal or became stallions prospects. She has produced two licensed stallions, and is expecting two more Totilas foals, this time out of DeNiro and Desperados mares. Total Star joins three other Totilas offspring Gal has scouted ‒ Toto Jr, Total U.S., and Trafalgar ‒ as well as Taminiau, a Totilas grandson.